Singer/Songwriter Sarah Beth Terry is whip smart, slap-your-grandma funny, completely fearless, unabashedly uninhibited and extraordinarily talented. Born and raised in Eastern Kentucky, far enough out in the country that they couldn’t get cable, Sarah Beth began writing poems and lyrics at a very early age, developing an exceptionally adroit, clever way with words. She credits songwriter/musician/producer Bobby Terry (no relation) and artist/songwriter Anthony Smith with teaching her to formulate songs. 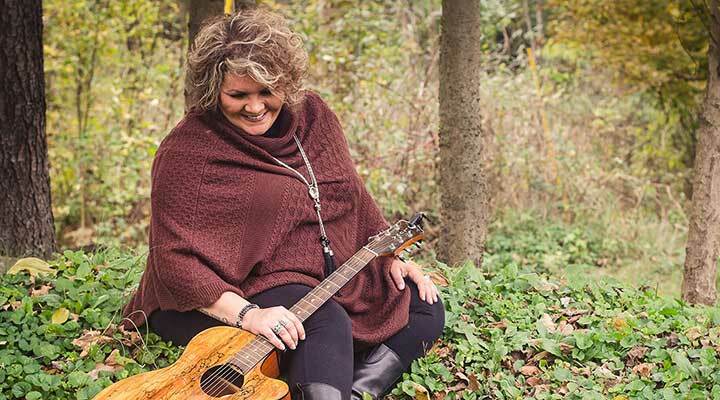 Reverential about Smith’s album, If That Ain’t Country (produced and engineered by Bobby Terry), she claims that it was an important turning point for her as a songwriter. Ironically, Sarah Beth currently has an excusive publishing agreement with Three Hounds Music, and her first cut is a song she wrote with Anthony: “I Hate the Taste of Whiskey”. She also has a cut on the new Gaither Vocal Band album written with Benjy Gaither.